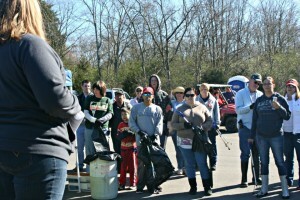 Yesterday was the Hurricane Creek Cleanup and I have got to say it was AWESOME. There were about 50 people there and we got a whole lot done. The weather could not be more perfect. I would love to thank our elected officials who were out there picking up trash right there alongside us, Mayor Mosley and Alderman Broeker. Also, a big thanks to Vice Mayor Farmer who was there on site as a medical tech. One of this city’s best assets is our proximity to the lake, so I feel it is our obligation to help keep it clean. 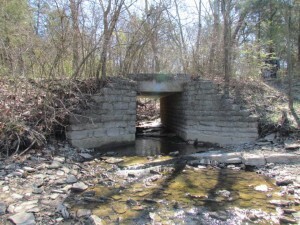 This is not just for people to be able to use it as a recreational area, which is good, but we also have to keep in mind that this is where our drinking water comes from (along with many other communities) and the cleaner we keep it, the easier it is to treat, and that saves the city money there, too. I especially loved working with the students from La Vergne Middle School. Thank you so much to Mrs. King (?? I hope I heard that correctly) for organizing their coming here, they were tireless workers and their energy and enthusiasm was inspiring. There was a girl there in the coolest pink boots that I was especially impressed with. If there had been awards given, she would have won for hardest gotten piece of trash, she dug a tire out of the muck on the banks, it was HEAVY. Weirdest piece of trash may have been the doll head Alderman Broeker found. And I swear I may have picked up 10 different socks there. I guess now we know where socks go to die. With that, I open this up to an open thread. What is on your mind, La Vergne? How is your day going? What are you going to be doing? ← Why Do We Park On A Driveway And Drive On A Parkway? I found a two liter bottle full of something with a huge hook in the cap! Icky to say the least and hoping it was a buoy of some sort and not anything dangerous! I refused to put it in my bag just in case so Daniel the supervisor took it for me! Loved the huge turnout and a laughter filled Saturday always wins! I found a bottle of what appeared to be human urine :O And there were some cans that were made of steel and had the old tab tops, which may have dated back to the 60s! Let me think, well I found a 9mm shell (no other casings laying around it) and then a pair of men’s underwear (or a least what was left of them hanging up in some branches so then I got to thinking (sometimes dangerous) that the bones that were found that look like a set of disks from a back, maybe needs to be looked at more closely…hum was it really bones from a deer??????? Who would have ever thought you could have so much fun picking up trash???? The worst thing I found was a heavy duty massive blow-out diaper, still with all the goods inside and it was fully loaded, a number 3 on the huggies list of used diapers but it was an over all great day spent with some awesome people. Several of us came up on a few homeless camps. Complete with firepits and a shelter made out of briars. So much trash we could not get it all and ran out of trash bags. Saved for another day of cleanup.